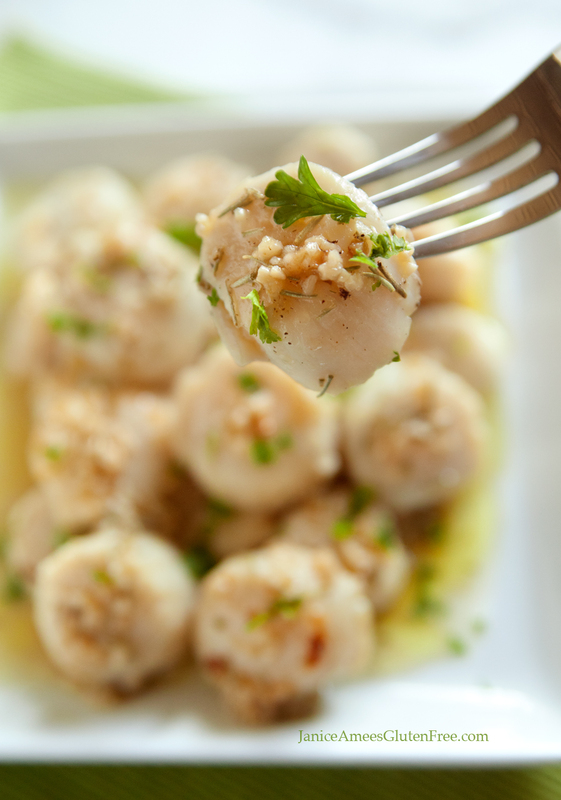 Scallops are a sweet, moist, tender shellfish rich in omega-3 – which helps to reduce inflammation and lowers your risk of developing cancer, heart disease and arthritis. 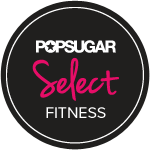 It’s also an excellent source of a vitamin B12 – a very important nutrient for cardiovascular health and a good source of magnesium and potassium – which helps to lower and maintain blood pressure. They’re high in protein – just 3 oz. contain 17 1/2 grams. They also happen to be super easy and quick to prepare. I’ve served this recipe simply, on a bed of baby greens (with some fresh tomatoes from my garden); however, it’s also good served with some of your favorite fresh veggies and brown rice or potatoes. Red (new potatoes) or mashed are both nice choices. For this recipe I like them to be very delicate and tender – like cutting through butter – so I haven’t pan seared them, hence their pale color. If using frozen, allow to defrost in the fridge first. Then rinse in cold water and pat the fresh or defrosted scallops dry with a paper towel. In a large skillet melt the butter, oil, garlic and dried rosemary, stirring until the garlic just begins to change color. 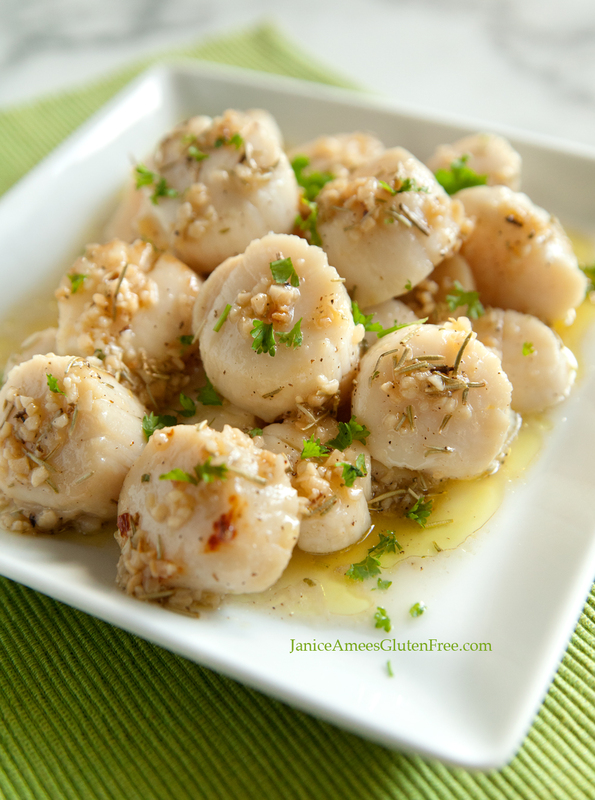 Lay the scallops on top and cook, stirring and turning them over frequently in the garlic-rosemary butter, for 2 to 3 minutes or until the scallops go from transparent to opaque. Be careful not to overcook them or they’ll come out tough and rubbery. Better they be slightly underdone than overdone. Salt and pepper and remove the scallops. Drizzle the buttery mixture over them. Sprinkle with minced parsley and serve.